The ex-politician, who spent more than two decades in local and state office, has been picking up riders since December. A few months ago, I went to get a haircut at Woody’s Barbershop in Saratoga Springs—yes, that Woody—around lunchtime, in advance of one of saratoga living‘s big soirées. So I fired up my app and called an Uber to pick me up at our headquarters on Broadway in the Washington. It said my driver’s name was “Al,” and that he was mere minutes away. Soon enough, a Honda CR-V pulled up, and I hopped in. What happened next is, without question, the single greatest Uber ride-sharing experience I’ve ever had. And it’s just a five-minute drive to Woody’s. The driver immediately introduced himself to me as Al, but not just any old Al: It was 61-year-old Al Jurczynski, the former Mayor of Schenectady, who had been elected to office when I was 16, and had probably been voted for by my maternal grandparents (I spent quite a bit of time in the Electric City as a kid going to visit Martha and Van Ladd on Avon Road). Jurczynski, a Republican, had been first elected in 1996, and held the office through 2003. Prior to that, he’d been a city councilman for 12 years, first winning a seat in 1983. Following his stint as Mayor, he was appointed First Deputy Director in then Governor George Pataki’s Office for Small Cities, followed by a stint as Deputy Secretary for Business & Licensing in New York State’s Department of State. (He’s also dabbled in car and real estate sales, too.) All in all, he’d spent two decades in local and state politics, and was somebody I’d definitely read about in the local newspapers and seen multiple times on TV growing up in the Capital Region. It turned out that he was retired and driving for Uber to make some extra scratch. I could respect that. Plus, it felt like I’d been picked up by a local celebrity; it might as well have been an episode of Cash Cab. Shortly before he dropped me off at Woody’s, I gave him my business card and said I’d be interested in interviewing him for a longer feature at some point. A few months passed, and I still had the card he’d exchanged for mine on my desk but assumed that he’d forgotten me or simply decided he wasn’t interested in letting the world know that he’d gone from running Schenectady to driving a Honda CR-V for a living. I was wrong. In came a call in early June, and it was Al. He wanted to talk. “My wife is a few years younger than I am, and she’s still going full tilt, working the job that she’s had for a long time,” he started off, in his explanation for why he’d chosen to drive for Uber. “She told me, ‘If I have to work, then you’ve got to work,'” said Jurczynski. “So I was keeping an eye out for what I could do, and my longtime friend Paul Harding, from Martin, Harding & Mazzotti, and I were having breakfast, and he said, ‘You oughta be an Uber driver.’ I looked at him and said, ‘What’s an Uber driver? '” Harding, himself a local celebrity—by now, you’ve likely memorized his law firm’s ad jingle—traveled quite a bit for work and was an Uber expert. So after explaining the ins and outs of ride-sharing to his friend, Harding told Jurczynski that his background in politics and love for talking and driving made him the perfect candidate for a driver. That conversation happened last March, three months before Uber had a (legal) presence in Upstate New York (the ride-sharing revolution wouldn’t kick off up here until June 2017). 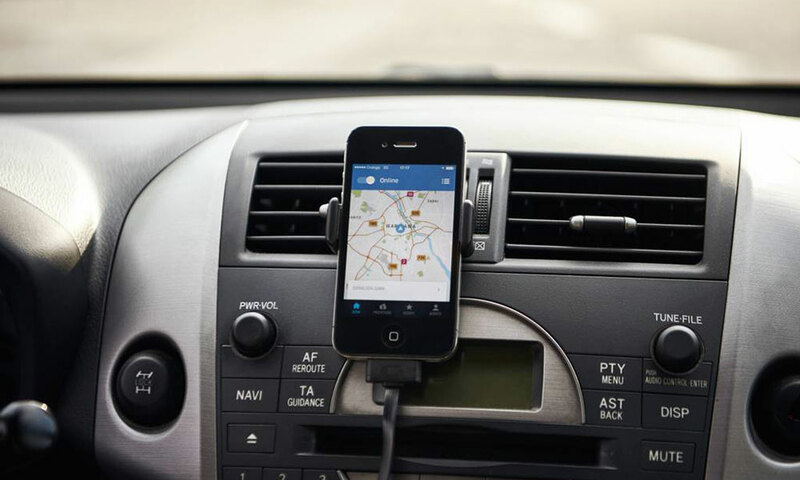 He sat on the idea for nine months before downloading the Uber app and signing on as a driver, and now he’s been driving for the ride-sharing company since the end of December. “It’s been fun,” says Jurczynski, who says he keeps his own hours and only drives when he’s “feeling inspired.” He tells me that he’ll put in about 30-35 hours per week. “The best part about it is the fact that I only work when I feel like working,” he says. “This morning, I was wide awake at 4am, and my wife was still sleeping, and I thought, ‘Well, I’ll go out driving. '” He put in a few hours, returned home, ran some errands and did a few more hours. He said he’d probably go out driving again after he got off the phone with me. “I don’t even consider it work,” says Jurczynski. One of the main reasons the work’s so fun for Jurczynski is all the people he gets to meet when driving around the Capital Region. (I can’t help but think that this all must remind him of meeting perfect strangers at public events when he was campaigning or after he’d taken office; being a politician really requires a specific type of person and personality.) When he picked me up that time I was going to Woody’s, he told me about a teenage girl he’d driven a short distance recently. At the time of the pickup, he’d been blasting some Elvis Presley, and asked his rider if she wouldn’t mind him listening to the remainder of the song. She said sure. “I finished listening to it, and I told her, ‘Boy, I love Elvis.’ And she didn’t say anything. I said, ‘You know who Elvis is, right?’ She said, ‘No. '” He went on to ask the girl if she knew who Michael Jackson was, and she nodded her head yes. “Well, Elvis, in my opinion, is bigger than Michael Jackson,” said Jurczynski. 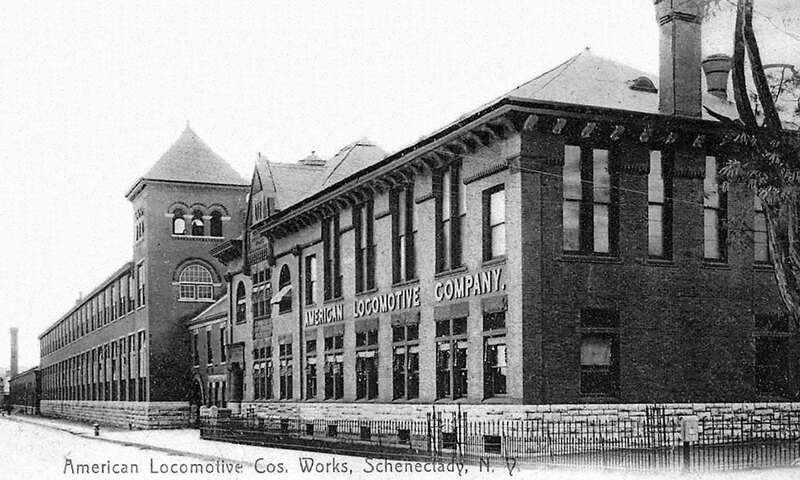 The American Locomotive Company (ALCO)’s Schenectady headquarters in 1906. In regards to his old stomping grounds in Schenectady, Jurczynski is genuinely surprised at how his city has grown since leaving office in the early aughts. “What amazes me is when I pick people up, young people in particular—Millennials—they think Downtown Schenectady’s a happening place!” he says. “To me, having lived here my entire life, I haven’t gotten used to that, because Downtown Schenectady for the better part of my life was really not a hot-spot by any means.” He particularly likes picking up Union College students and doing a similar intro for them like he did when I jumped in his passenger seat: He tells them to tell whomever they’re meeting up with that the former Mayor of Schenectady just chauffeured them there. Once they’re done cracking up, he precedes to give them a little history lesson, depending on how long the trip is. “Have you heard of ALCO?” he’ll ask them. The acronym stands for “American Locomotive Company,” and they built trains in Schenectady for more than 100 years at the site of the city’s casino, he’ll say. They also produced tanks used during World War II. He’ll go on: In 1968, when he was just a kid, ALCO went out of business, and 12,000 people lost their jobs. “These are little vignettes that are true, and most people aren’t aware of them,” Jurczynski tells me. He’ll talk about the two local high schools of yore and their big rivalry (he went to Mount Pleasant; my mom graduated from Linton), General Electric’s waning presence in the city and a panoply of other historical footnotes. He’s a walking (Schenectady) history book. “I try to make the conversations interesting, because maybe they’re only going to be in my car for 10-15 minutes. Every person’s different. So people get in, and they may be on the phone, they may have their ear pieces in listening to music, and I leave them alone. But if they’re willing to listen, I’m always willing to tell them stories about Schenectady and the Capital Region,” he says. 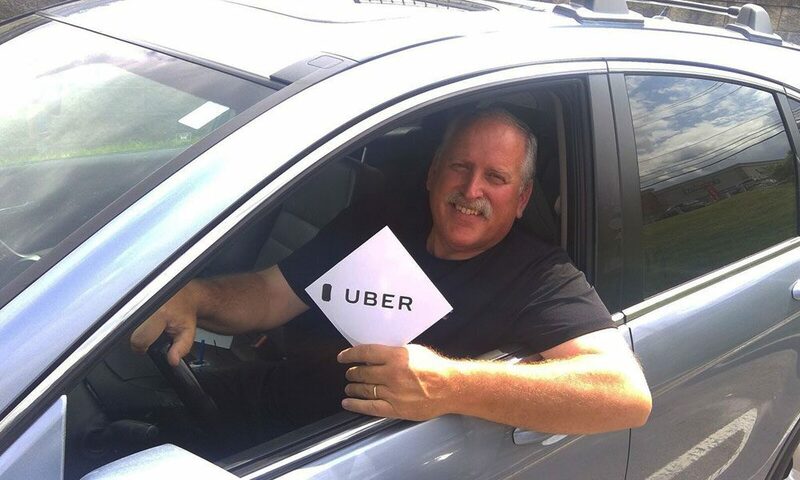 Jurczynski’s time as a local politician clearly had a tremendous impact on his life—and has helped inform his post-retirement work as an Uber driver. As a Republican elected in a largely Democratic pocket of Upstate New York—a badge of honor he wears proudly, he says—serving at the behest of the people was never about party politics for him; it was all making the city and the state a better place to live. I can’t help but feel like my five-minute ride in Al’s Uber made Saratoga a little bit better that day. The Capital Region needs more guys like Al Jurczynski.